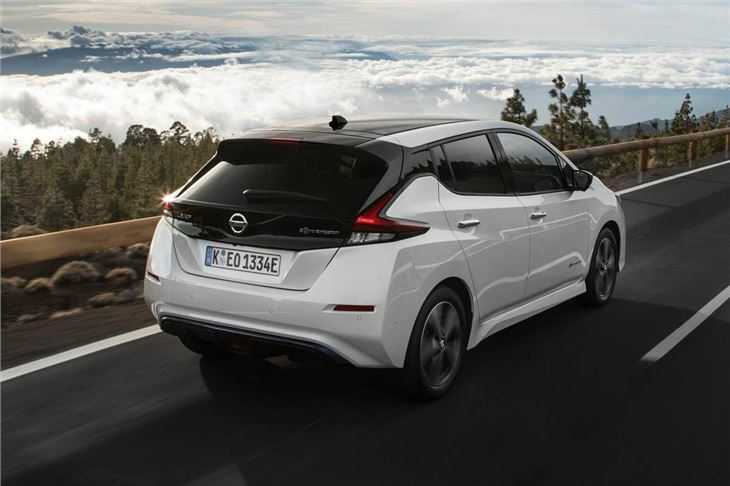 The 2018 Nissan Leaf goes further than ever before. Literally. Along with big improvements in comfort and refinement, it now has a considerably longer range. 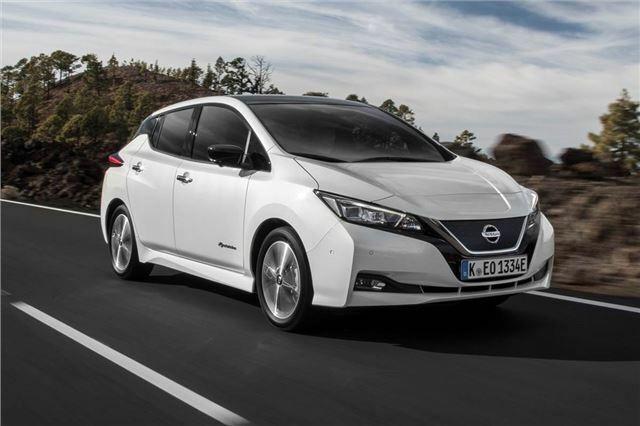 Admittedly, it’s still expensive to buy, especially when compared to its petrol and diesel rivals, but the Leaf is miles ahead of its all-electric competition. 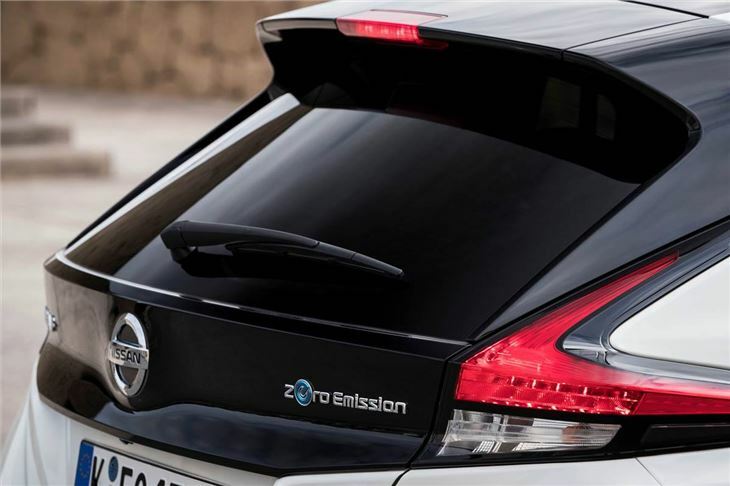 According to Nissan, the 2018 electric Leaf will cover 258 miles in city conditions and 168 miles on a mixture of urban roads and motorways. Significantly, these figures have been obtained under the new WLTP rules, which means the Leaf should give buyers something they’ve been demanding for years - realistic and achievable economy ratings. 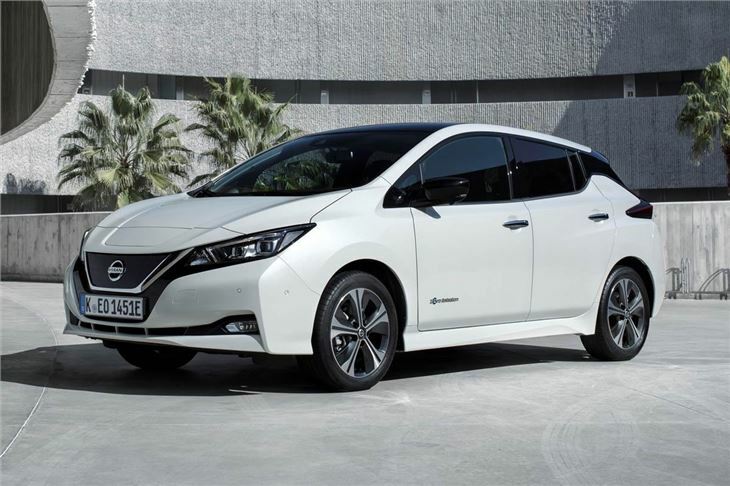 The Leaf’s boost in range has been achieved with a new 40kWh battery pack that’s far more sophisticated and powerful than the old 30kWh unit. There’s more power too, with the 0-62mph sprint being lowered from 11.5 to 7.9 seconds. However, despite the notable increase in performance, charging times are generally unchanged with a 32A wallbox taking 7.5 hours for a full recharge. 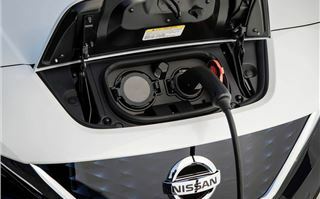 Plug the Leaf into a 50kW fast charger and you'll get 80 per cent from empty in around 40 to 60 minutes. One the road, the Leaf is good to drive with fine ride quality and a near-silent operation, which is impressive given its considerable 1580kg kerb weight. It feels notably quicker too, with the uprated electric powertrain producing 38 per cent more power and 26 per cent more torque. 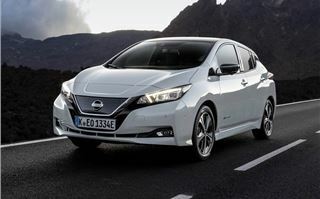 Most of the improvements are felt in the low to mid-rev range, which means the Leaf is far more willing when it comes to overtaking slow moving traffic or joining a busy motorway. 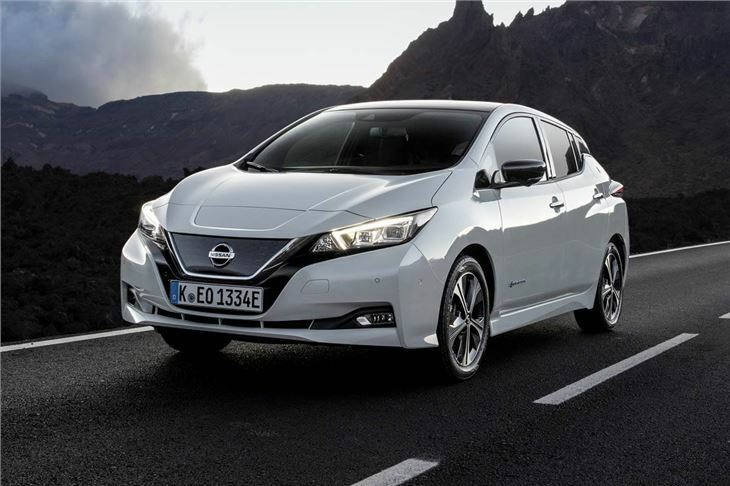 The Leaf gets some smart features too, including a new 'e-pedal' energy recovery system that tops up the battery by applying regenerative braking each time you lift your foot off the throttle. Admittedly, it feels a bit odd at first, but after a few long runs it becomes surprisingly easy to find a rhythm. The key is to apply deft touches to the throttle and lift power as you approach corners to take off speed; the kinetic energy is then sent to the battery pack to add valuable miles to the car's range. There is also a standard brake pedal, but you will seldom use it once you’ve mastered the money-saving art of brake regeneration. Those who want further help with their daily drive can also specify Nissan’s semi-autonomous ProPilot, which controls the vehicle’s steering and speed on the motorway. The system doesn’t allow the driver to remove their hands from the wheel, but it does take some of the stress out of motorway driving by keeping a safe distance from the vehicle in front. It can also be used in heavy traffic. Another new option is ProPilot Park, which allows for fully autonomous parking at the touch of a button, without any steering or pedal interaction from the driver. The interior of the Leaf feels very much like any other family hatch, with comfortable seats, a seven-inch touchscreen and a good-sized 435-litre boot, which is far more practical than anything you’ll find in the Volkswagen Golf or Ford Focus. However, due to the position of the battery under the floor, the seats are set quite high and finding a good driving position is tricky owing to the fact there’s no reach adjustment for the steering wheel. That said, the quality of the cabin is a huge improvement over the old Leaf, with more soft touch plastics and a good fit and finish throughout. Soundproofing - or the lack of it - has been addressed too, which means your passengers are no longer deafened by a loud drone every time a diesel car or van passes you on the motorway. However, headroom for those sitting in the back is tight and there is very little room to fit a third passenger in the middle seat owing to the fact there's nowhere for them to put their feet. It might not be an all-new car, but the 2018 Leaf feels much more accomplished than ever before. Obviously the improvements in driving range will vary depending on driving style, but we found that the combined WLTP figure of 168 miles to be realistic during our test runs. The e-pedal also provides a great way of incorporating regenerative braking into everyday driving. Depending on which energy tariff you use, an electric car can cost from as little as 4p-per-mile to run, with zero VED and exemption from any congestion or pollution charges when it comes to entering major cities. 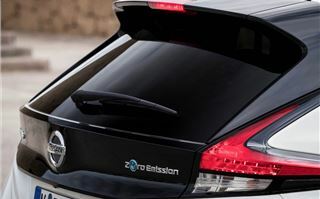 Company car BIK rates start from just nine per cent and general wear and tear will also considerably less, owing to the fact that it’s just the electric motor that drives the car. 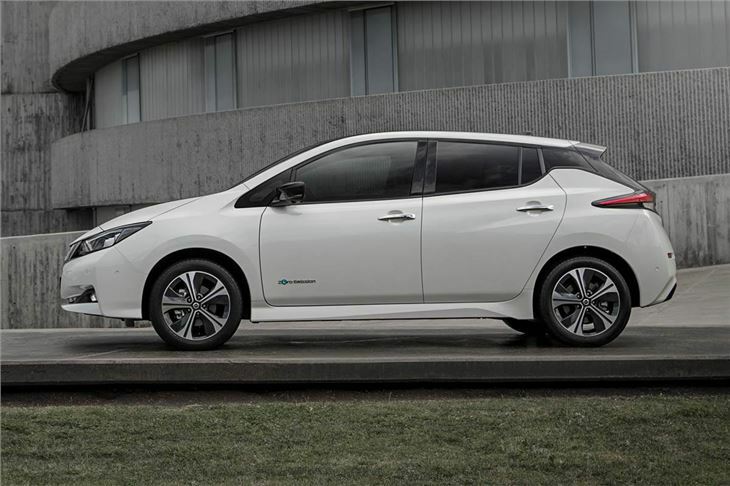 However, while the headline cost savings are obvious, the Nissan Leaf requires a significant outlay. Prices start at £21,990, even after you’ve included the Government’s £4500 electric vehicle grant. Opt for a mid-spec car - with alloy wheels, front fog lights and adaptive cruise control - and that price quickly moves up to £24,490. 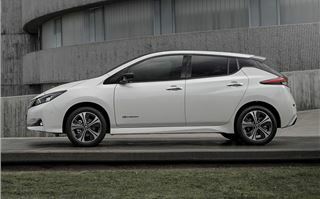 Price aside, the Nissan Leaf is a very good family car and a viable alternative to petrol and diesel. 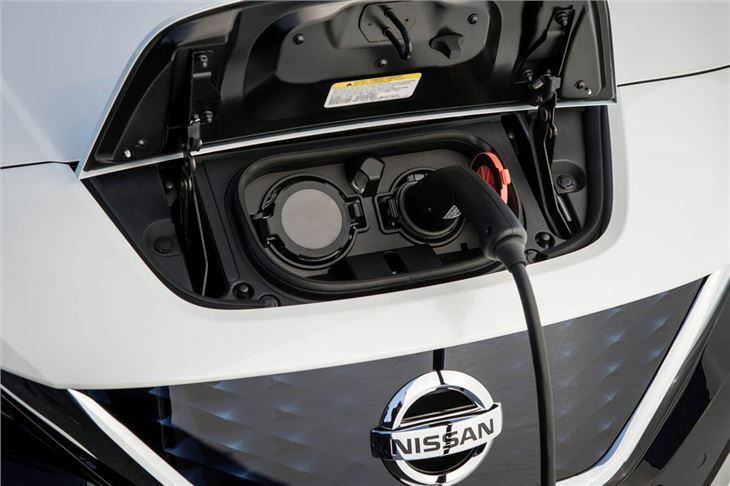 Nissan has been building electric vehicles for longer than any carmaker and it shows here, with the Leaf feeling far superior in build and technology compared to its rivals. As a long term ownership proposition, it should prove good value for money. 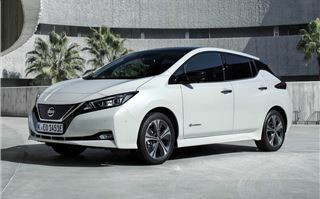 The new Nissan Leaf goes on sale on 1 February.